Posted by Doriano "Paisano" Carta in Business, Marketing, Uncategorized. After a week of incredible fun in Disney World, I’ve come away from the experience filled with wonderful memories of precious moments with my family. I’m also filled with awe with Disney’s amazing skills in marketing and use of technology. No one takes more advantage of these tools more than they do when it comes to benefiting their business. The biggest complaint about the Disney experience or any large park adventure is always about the long lines and waiting. Disney implements a fantastic technology called the FastPass which vastly reduces the amount of time you have to wait in line to go on a ride or see a show! Slide your ticket into a machine and out pops a new FastPass ticket with the time that you need to return to casually waltz into the ride/show of choice. Disney does a great job with the layout of their parks and provides plenty of guide books and maps everywhere you go. The brilliant layout continues within each park as well. Take the Magic Kingdom for example. At the center of it all is Cinderella’s Castle which acts as the hub in the wheel. Each part of the park is divided into different themes which makes the experience much easier to manage and enjoy. Another genius layout design that generates tremendous revenue is the way that most rides and shows exit into a gift store! They provide a pleasurable experience and get their customers all lathered up and lead them into the lion’s den full of merchandise related to the experience they just enjoyed! Do you hear the cash registers? Brilliance! Many of the things that Disney provides customers appear to be merely convenience features but actually serve dual purposes such as yet another revenue generating enhancement tool. For example, being able to send anything you purchase at a gift ship automatically back to your hotel room not only allows you to enjoy your time in the park more because you don’t have to carry those packages around all day (convenience) but it also keeps customers in the park and gives the illusion that they haven’t purchased anything and thus encourages them to make more purchases and so on. Again, brilliance! Also, customers who can afford to stay at the more expensive hotels close to Disney don’t even need to drive to the parks! They can just jump on the monorail or even a boat and slide right in, take their rides and make their purchases all day long. Everyone knows how masterful Disney has been when it comes to generating a frenzy for collecting their classic movies by stealing a page from the DeBeers family and how they’ve dominated the diamond industry by managing the laws of Supply and Demand. Well, Disney has tapped into another goldmine: Pin Collecting! Yes, it appears to be a very inexpensive and fun little hobby at first glance, but it can quickly become a huge investment. There’s even an official website for Disney Pin Collecting. Please don’t mistake any of this as negative. I fully enjoyed my experience at Disney and cannot wait to go back! I’m just impressed with the way they do things over there. They are a well-oiled machine of entertainment and capitalism. 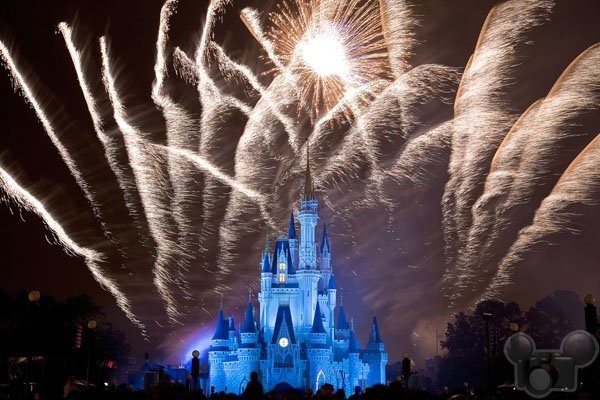 All businesses should study Disney and emulate their efforts. Please your customers and they will gladly spend their money with smiles on their faces. I know I sure did! Posted by Doriano "Paisano" Carta in Blogs, Marketing. Why are some blogs popular and others not? Obviously, the best thing any blogger can do to make their blog a success is to write excellent posts consistently. However, even the best written blogs will languish in obscurity if the blogger does not perform some promotional and marketing tasks to spread the word about their words. Yes, it goes against everything a writer believes in, but it is a necessary evil. If you want to share your craft, then you must learn the craft of promotion and marketing. Here’s some good news. I’ve done a lot of the dirty work for you and compiled a list of the best blog and RSS directories available today, including the brand new BLOGGED. I’ve published Paisano’s Blog Directories List online and made it public for all of you to use. It’s a work in progress so look for it to change often. Some will come and some new ones will go. Feel free to send me any that I’ve missed as I am sure there are many. As a matter of fact, there appears to be thousands of blog/rss directories in existence, but most of them are small obscure indexes that aren’t worth the time or effort to submit your blog to. I’ve chosen about 44 blog/rss services that all seemed to be pretty active and offer easy methods of submitting blog urls or rss feeds to. I avoided those services that required a referential link on your site in order to be listed on their site. While I think it’s fair to ask bloggers to add a badge or widget, it’s an entirely different matter to require it. Also, I selected only free services. There are many services that actually charge bloggers a fee (one-time, monthly or annually) to be listed. Again, it might be a personal choice, but I don’t feel anyone should have to pay to be listed on any service. Of course, that is your decision to make. There are many paid services that claim that they can submit your URL/RSS feed to hundreds or even thousands of directories for you but I stayed away from such solutions. Who knows, they might actually work and be worth whatever the cost. I just don’t know enough about these types of services to include them at this time. The quickest and least expensive way to start spreading the news about your prized blog is to submit it to some blog/RSS directories. Here’s the link to Paisano’s Blog Directories List again. Most of the sites included were found in this excellent resource: TopRankBlog’s BlogRSS Directories. Note: Many of their listings were no longer working or required fees or a commitment to include a referential link back and many just didn’t seem worth the effort. Finally, this is just ONE method to promote your blog. There many other things you can do. By far the best suggestions for promoting your blog come from Darren Rowse, Mr. ProBlogger himself: ProBlogger’s How to market your blog. He delves deep into the fine art of SEO (Search Engine Optimization) and many other mysterious practices that appear to work wonders for countless bloggers. Posted by Doriano "Paisano" Carta in Gadgets, Marketing, Widget. The definition of viral marketing from wikipedia: marketing techniques that use preexisting social networks to produce increases in brand awareness, through self-replicating viral processes, analogous to the spread of pathological and computer viruses. It can be word-of-mouth delivered or enhanced by the network effects of the Internet. Viral marketing is a marketing phenomenon that facilitates and encourages people to pass along a marketing message voluntarily. Viral promotions may take the form of video clips, interactive Flash games, advergames, ebooks, brandable software, images, or even text messages. Here are some of the best tools that can assist you with creating and sharing your own viral marketing campaign for anything you want to promote. It can be your blog, political candidate, a book or screenplay you wrote and just about anything else you can imagine. The possibilities are limited only by the imagination. Also, it can be a lot of fun too. gydget is the easiest viral marketing service that I’ve tried thus far. You can create live widgets with feeds for videos, events, news and more. Whenever something changes on the source website such as your events on MySpace then the information is updated in every gydget that is loaded out there on the web! This makes the widget a useful information tool in addition to entertaining (thanks to the video feature). Here’s a gallery of existing viral marketing campaigns created with the free gydget. Most of the widgets are for music artists, but there are many that are not. For example, you will also find promotions for comedians, actors, actresses, movies, and much more. Just about anyone or anything can benefit from viral marketing tools such as gydget. This includes even non-technical people or ventures like writers and their work. This video from a local news station shows how a fan of the Oakland Raiders uses a Gydget widget to share the latest news and information about the team with other fans. Here are two viral marketing distribution services that allow you to setup websites to provide widgets and track them. They offer some free accounts but also provide premium services that include more bells and whistles. http://www.gigya.com is the creator of wildfire which is most popular platform for websites that distribute viral marketing widgets such as gydget. Here is a video promo for Gigya. http://www.clearspring.com is a competitor to gigya and gaining some attention lately. I think viral marketing is a brilliant way to get the message out about yourself or anything else you want to share with the world. Who says that press releases have to be dull and boring? Why not use some of the these tools and create exciting and refreshing new ways to spread the word? Here’s an excellent link to a free eBook on Viral Marketing as well as an insightful podcast in mp3 format.